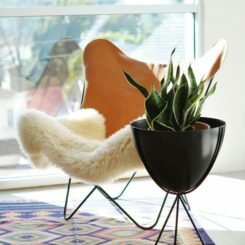 They are a home necessity and one of the easiest items to swap out and freshen up your space: Chairs. 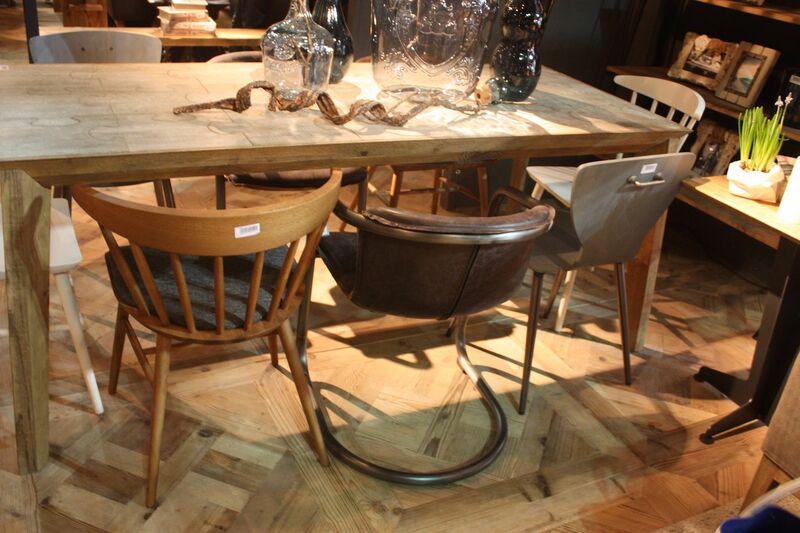 Whether for dining, work or lounging, there are countless types of chairs to choose from. 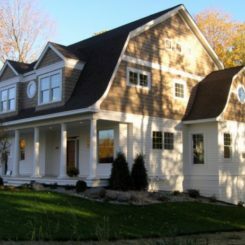 Many current popular designs have historic roots and are actually a modern twist on a heritage piece. Others are modern inventions, but they are still iconic pieces that can grace any home. Here’s a rundown of popular styles and some of our favorite picks for chairs in each category. 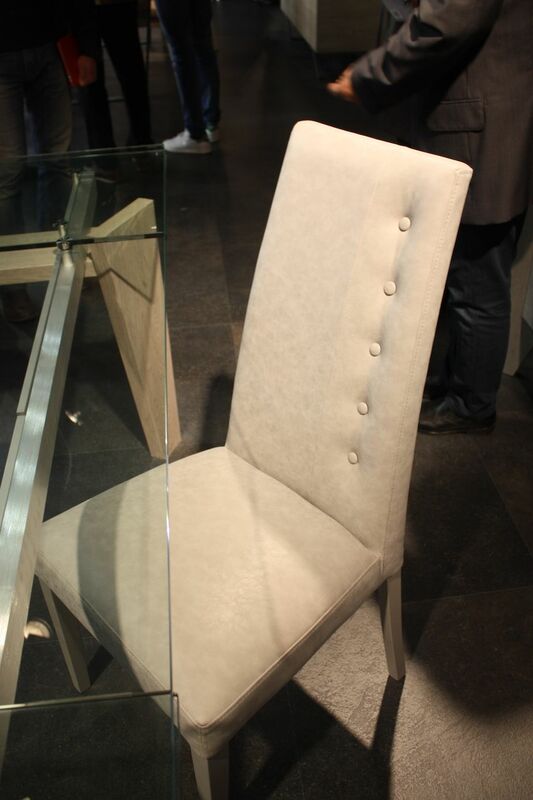 The clean lines of the ladderback chair are perfect for today’s casual dining areas. 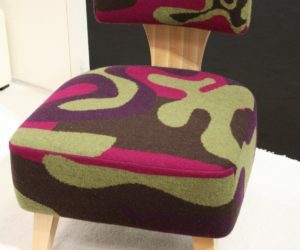 Modern slipper chairs can feature different shapes and bold upholstery. 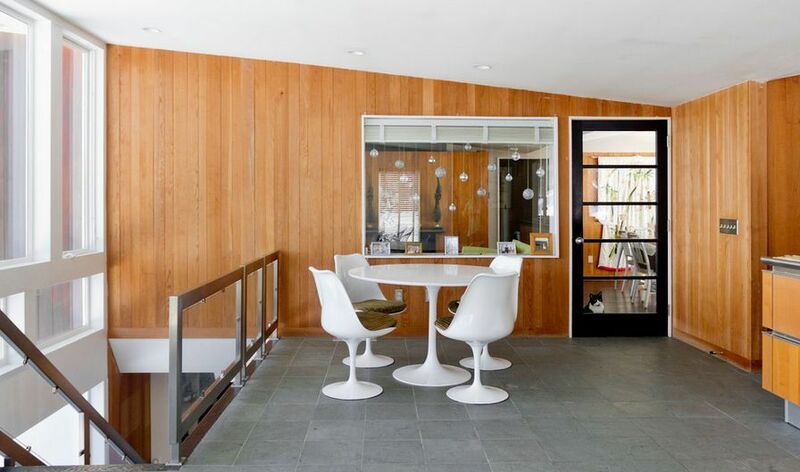 A rainbow of colors makes this a fun and sophisticated midcentury modern addition to any room. One of the most common types of chairs in the home is the armchair. 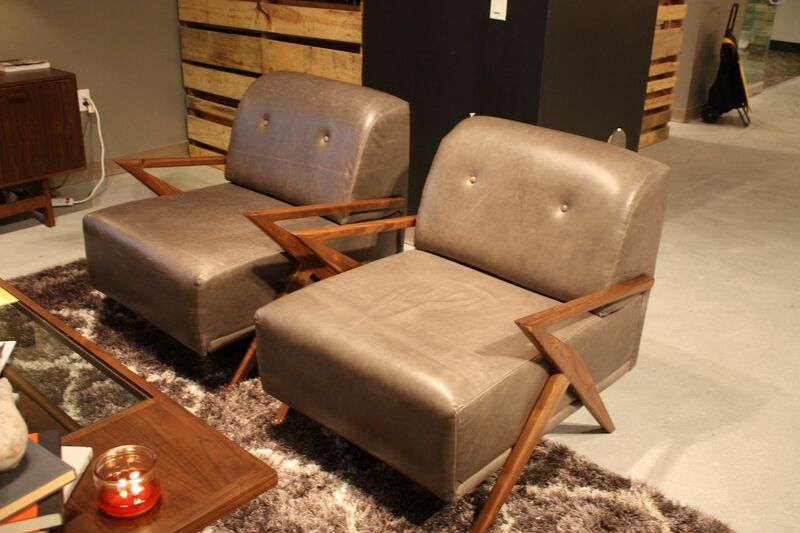 They are really versatile — and comfortable – because they have armrests. 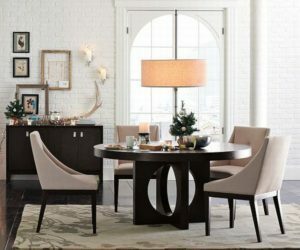 These can be casual or formal chairs for lounging in the living room, but they can also be desk chairs and dining chairs. 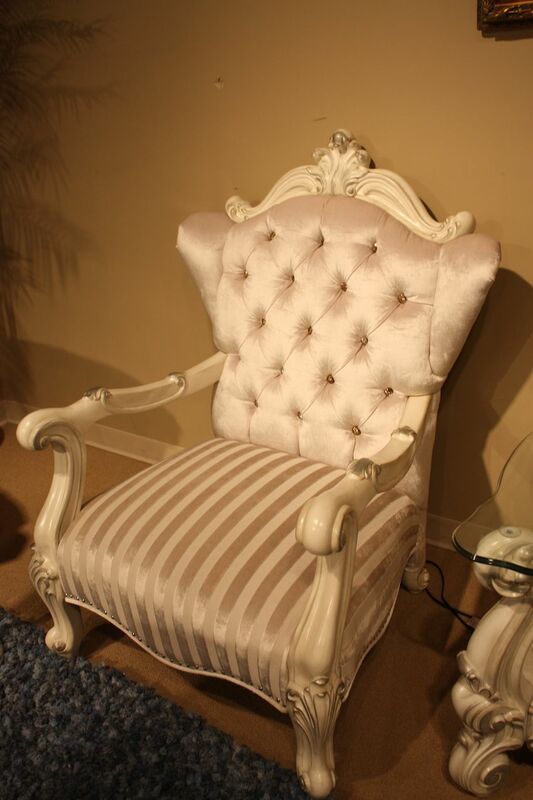 Luxury furniture often includes armchairs upholstered in silk with tufted details. One of the most mispronounced types of chairs, the term chaise longue is French for “long chair.” Many American’s mistakenly call it a chaise lounge, because that’s what it is used for — lounging. Any chair that has a long seat where a person can put their feet up falls into this category. 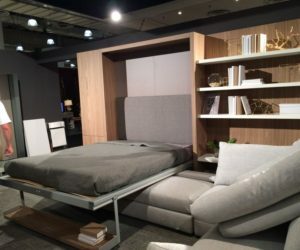 Day bed and fainting couches are usually of a similar design and can be used in a living area as well as a bedroom. 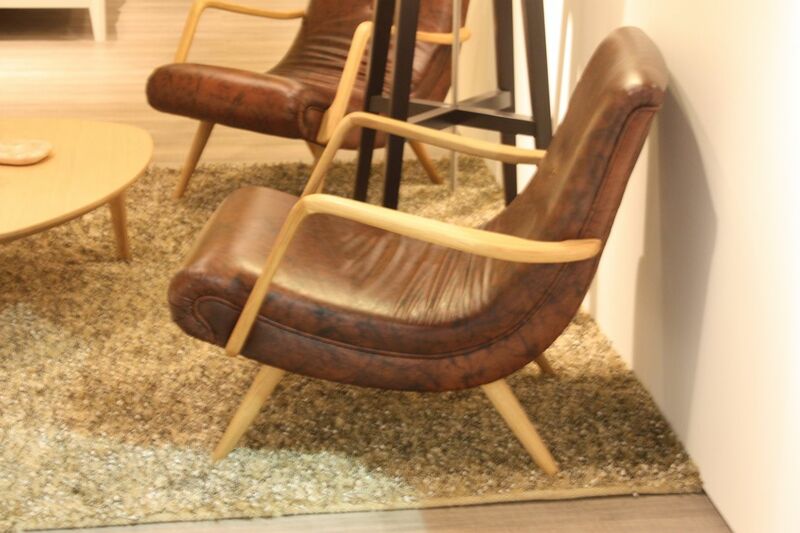 This brown leather chaise is quite masculine and has a modern shape. 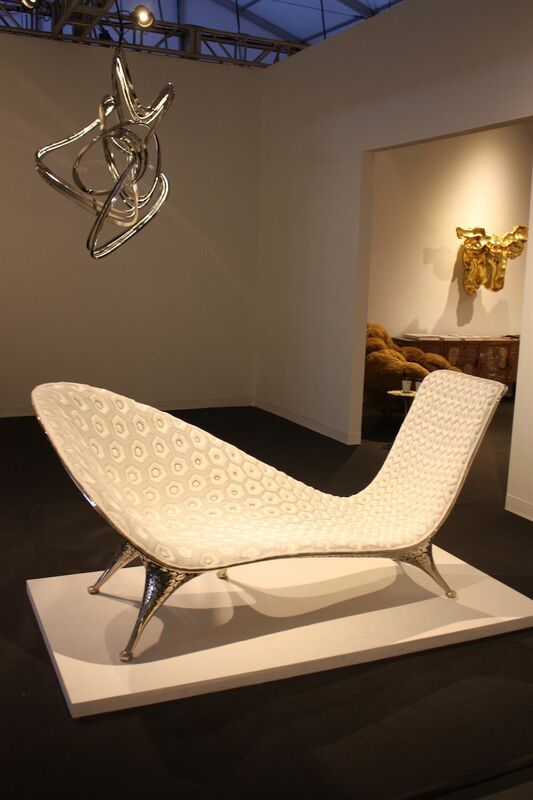 Modern chaises longues, like this from Friedman Benda, often have elegant shapes. 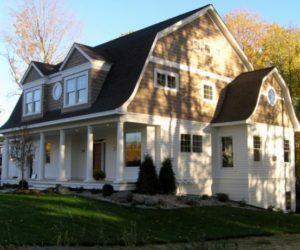 This is a classic design that was originally conceived to be used in front of a fireplace. The “wings” on the sides, which can be of varying lengths and sizes, are meant to protect the head from drafts and help hold in the heat from the fire before the chair. While there used to be two main styles of wings — flat and scroll — there are now all sorts, from long and pointy to large and butterfly-like. 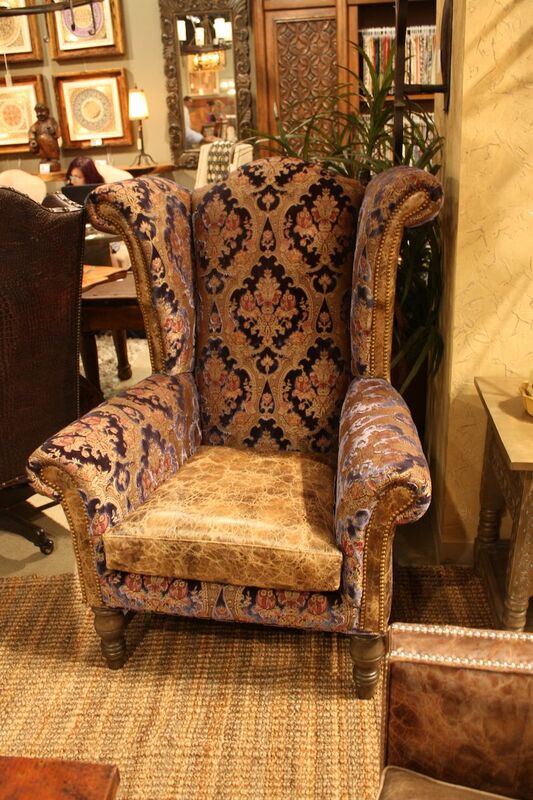 Bella Rustica’s mixed upholstery wing chair is a classic shape. This modern version from Pacific Green features channel stitching and modern, angular wings. 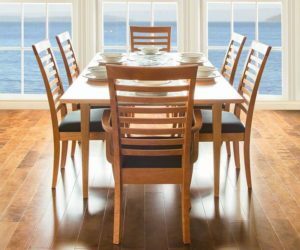 Dining chairs are a category, but it’s nearly impossible to quantify these types of chairs because so many different shapes and styles are used these days. 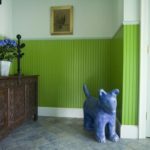 It used to be that dining chairs and tables were sold in a set or had to match, but current decor styles have made mixing colors, upholstery and shapes very popular. The only thing required for a chair to be used for dining is that its seat is high enough for people to eat comfortably. After that, the options are nearly limitless. 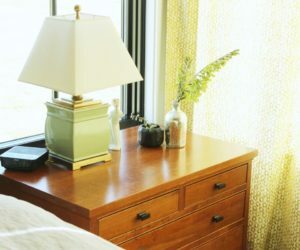 This Dialma Brown arrangement shows variety and how it’s possible to mix styles. Dining chairs can have arms or not, depending on personal preference. 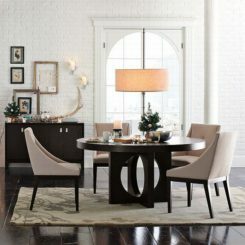 Tall-backed, fully upholstered chairs are very popular for dining rooms. 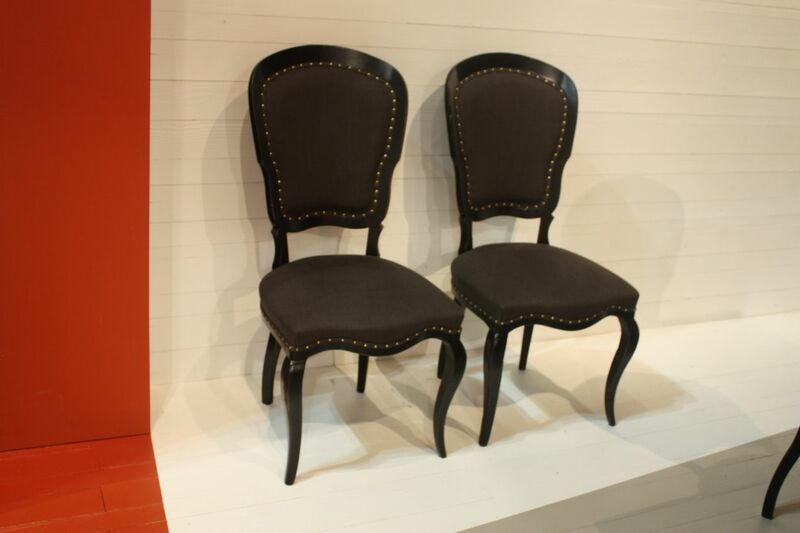 Marchetti’s dining chairs are a bit formal, but the black color makes them modern. 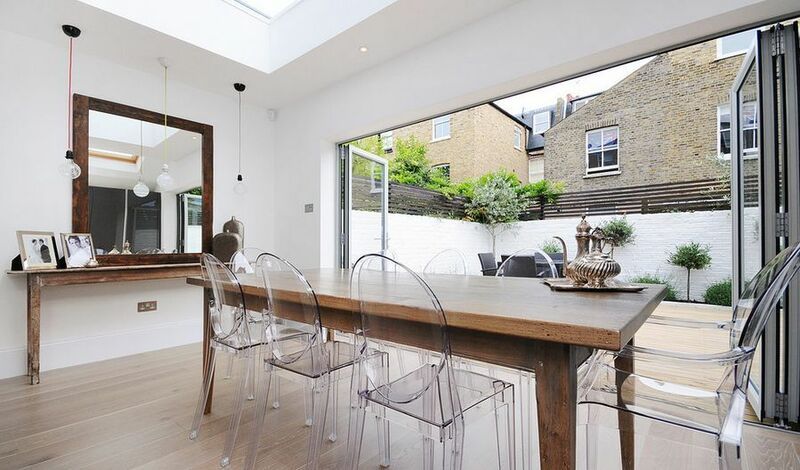 Some homeowners prefer to use a real armchair for dining. Chesterfield chairs have a long history and are identifiable by their buttoned and tufted upholster. 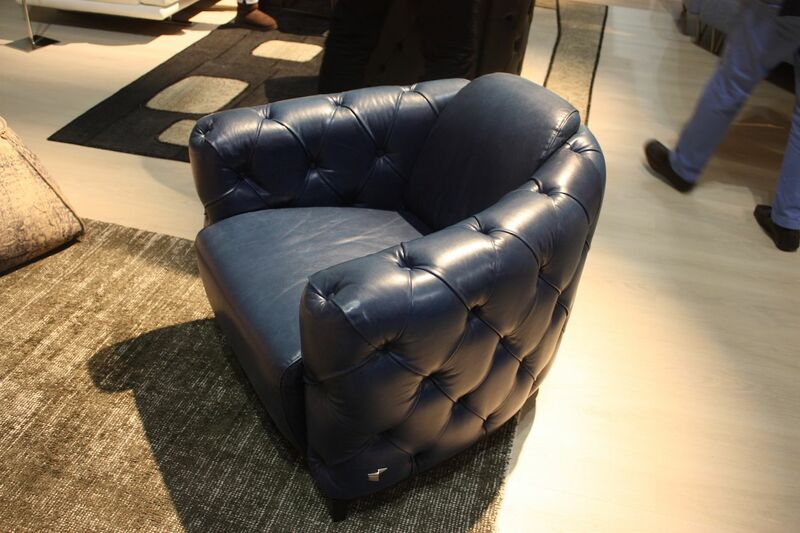 Typically, they look more like a club chair, but can also have more of an armchair or wing chair style. 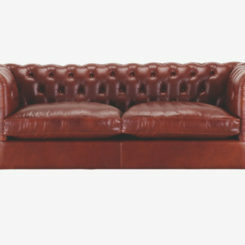 While you can find some upholstered in fabric, most Chesterfield chairs are typically covered in leather. According to the London Gallery, historians believe that the 4th Earl of Chesterfield (1694-1773) commissioned the such seat its distinctive deep buttoned, quilted leather upholstery. 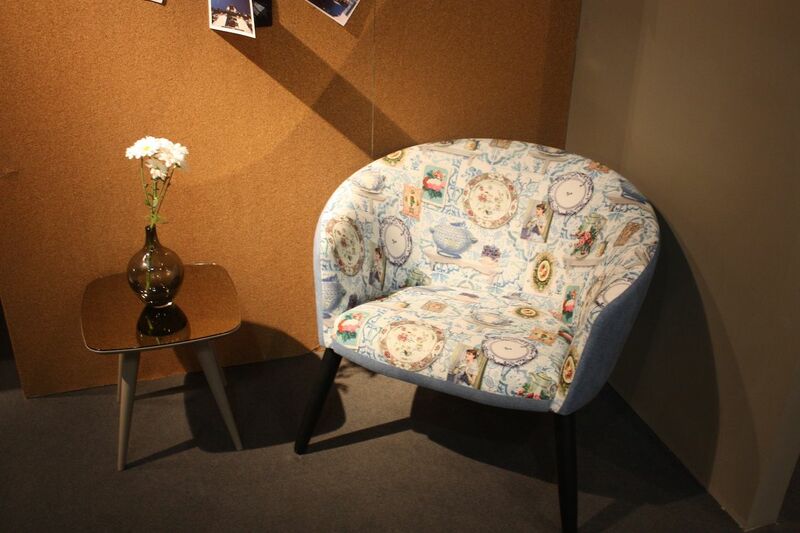 A Chesterfield style chair from Poltrona Frau includes a small table. Pacific Green’s modern take on the Chesterfield eschews the tufting and uses channel quilting. 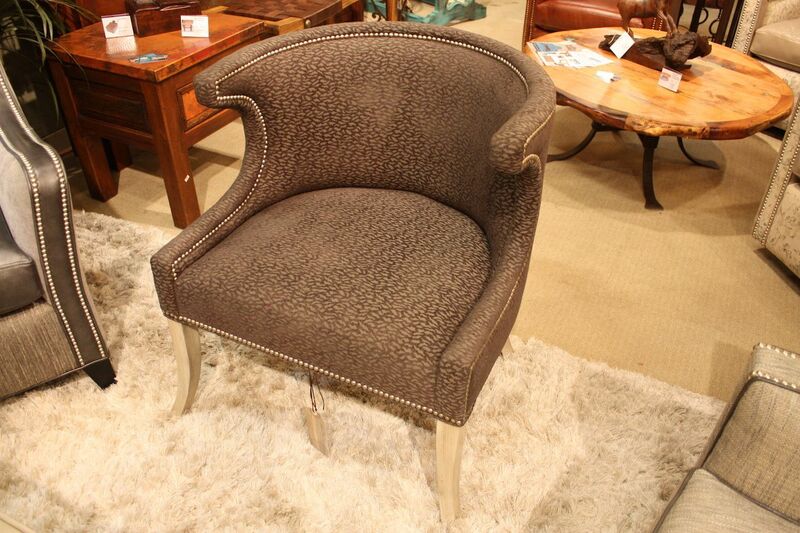 Club chairs got their name because this was typically the shape used in the popular gentleman’s clubs of 1850’s London. These types of chairs are known for a low back and heavy sides that form armrests. The arms and back are usually the same height. Today’s designers have come up with all sorts of variations on this particular style. 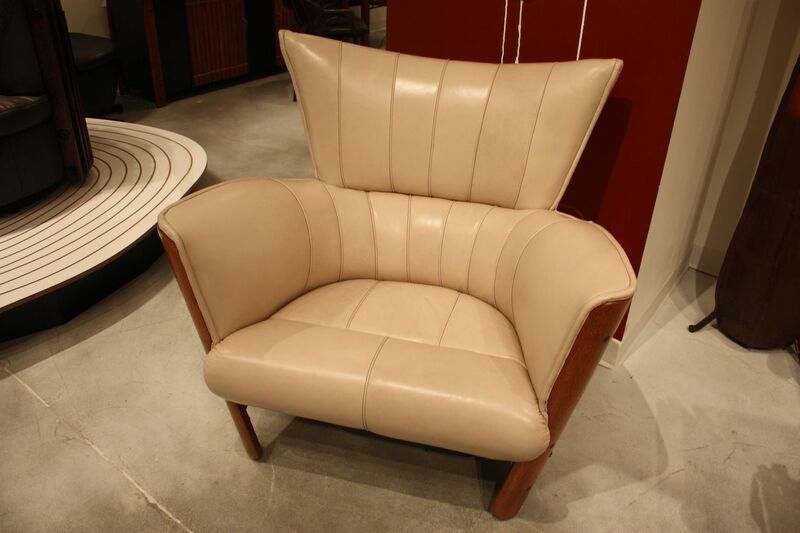 Calla Italia’s leather club chair is masculine and fairly traditional. 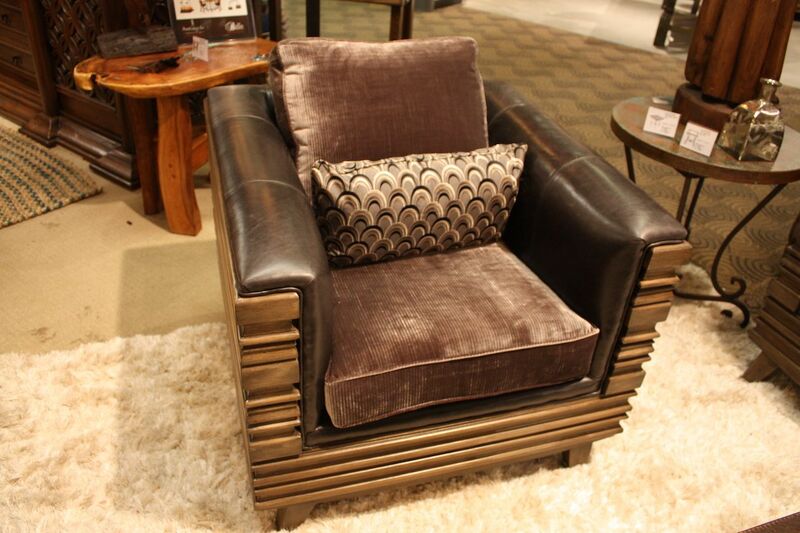 Bella Rustica’s club chair is modern, with a full outer frame of wood. 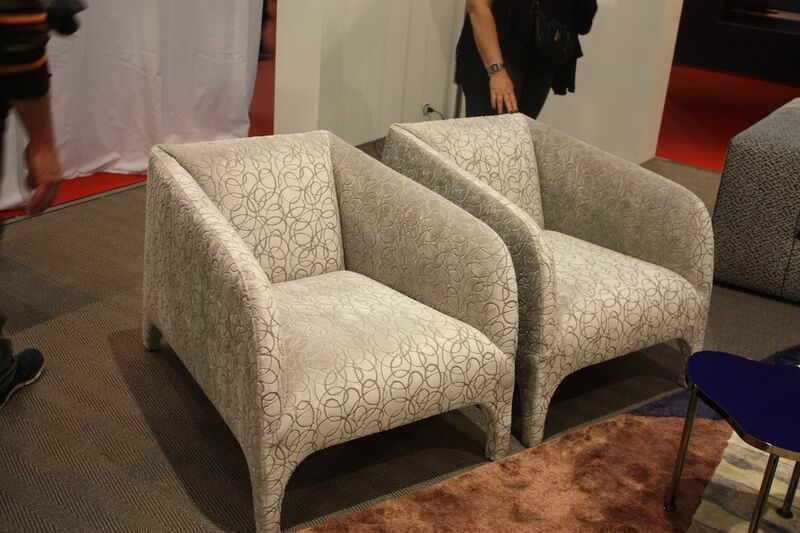 A more elegant take features upholstered legs and smoothly angled armrests. 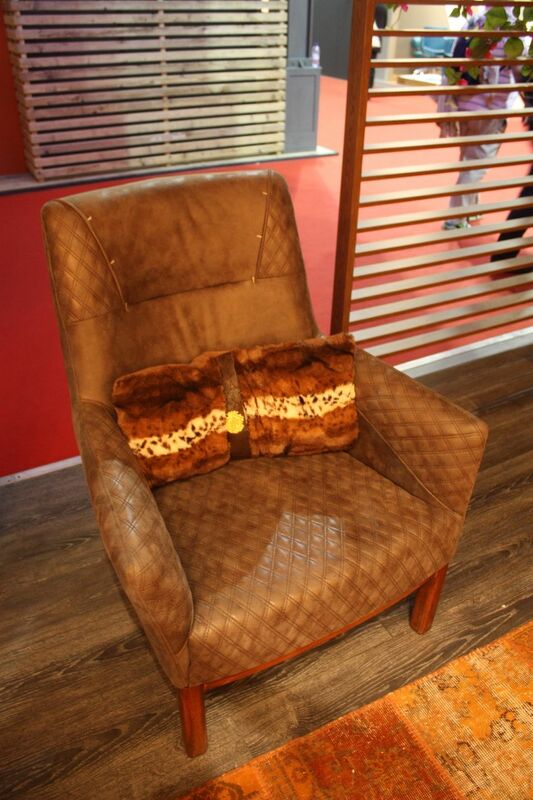 Club chairs can be done in a feminist style as this one from Abrito. Slipper chairs were popular in the 19th century because their low seat made it easy for women to put on shoes, stockings and other garments of that era. 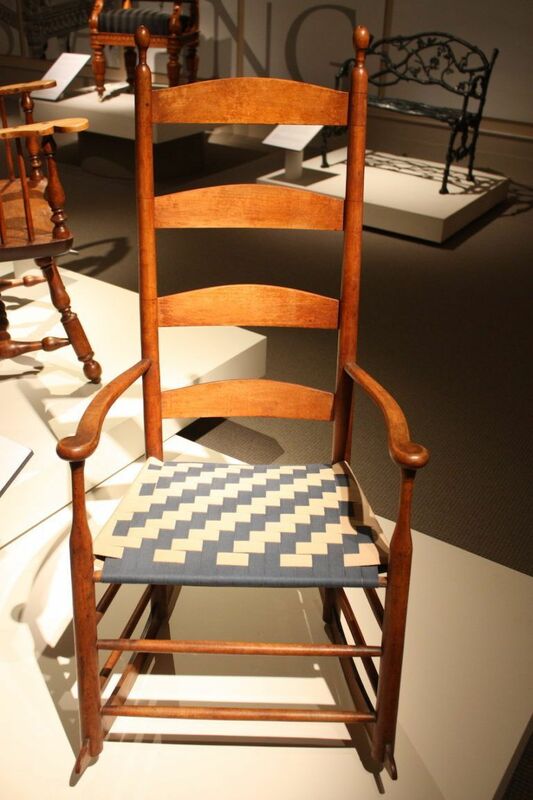 Designer John Henry Belter, a German immigrant, earned a number of patents from his work on this chair including for a new kind of jigsaw and a way to bend laminated wood. 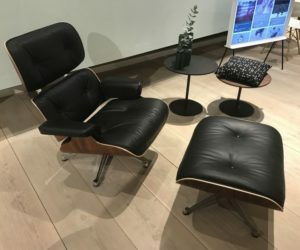 That particular technique was later used by designers such as Charles Eames to create some of his own iconic chairs. The style of the slipper char is Rococo, which was popular at that time thanks to America’s fascination with all things French. 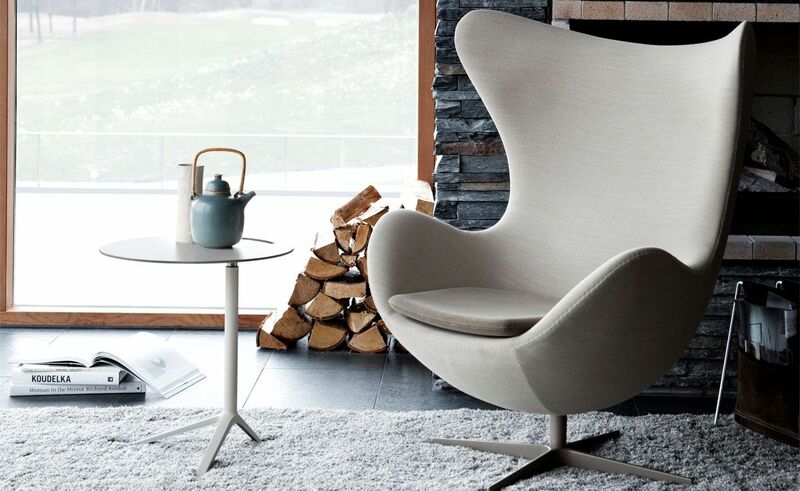 Low with a long back, slipper chairs are a classic shape. Meant for anglers trying to bring in a large fish, true fighting chairs have become a bit more like recliners or cushy office chairs. 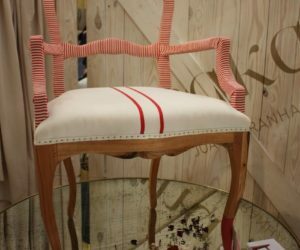 Modern designers, however, are using the original design — a slatted back — as the starting point for fanciful chair creations. 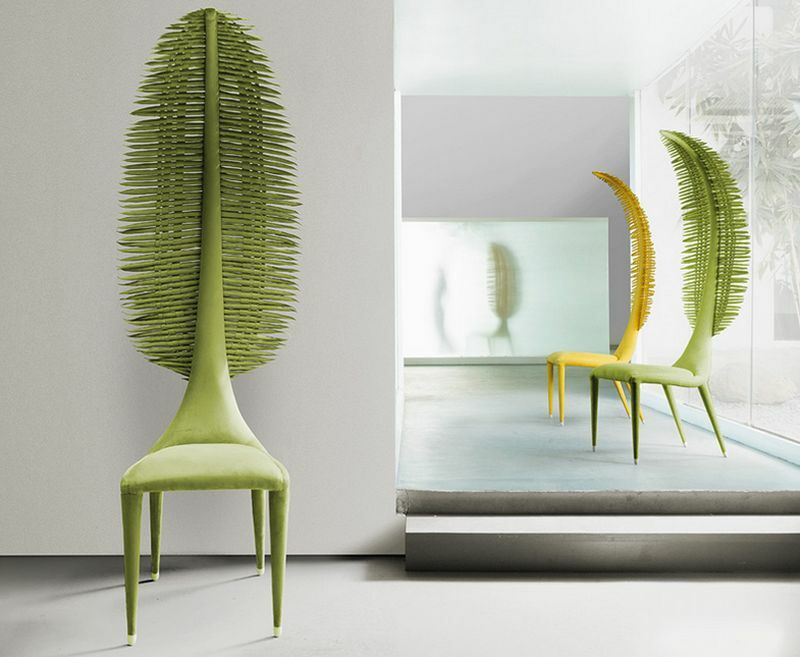 Dan Howell’s hand-crafted, fern-like chaise longue is reminiscent of a fighting chair. 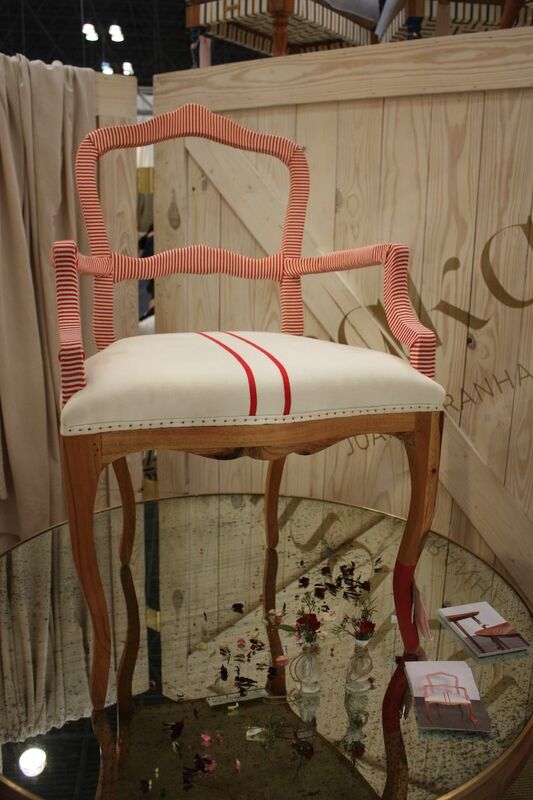 The Zaza side chair from Kenneth Cobanpue is part fighting chair, part wonderland fantasy. 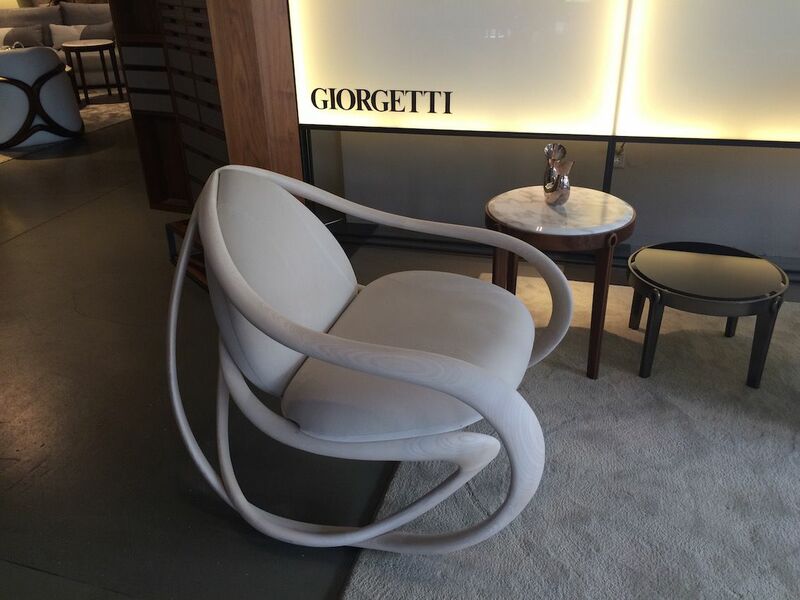 Although it is essentially an upholstered easy chair, the Cogswell chair has a distinctive silhouette. It has a sloping back, armrests that are open underneath, and cabriole front legs. 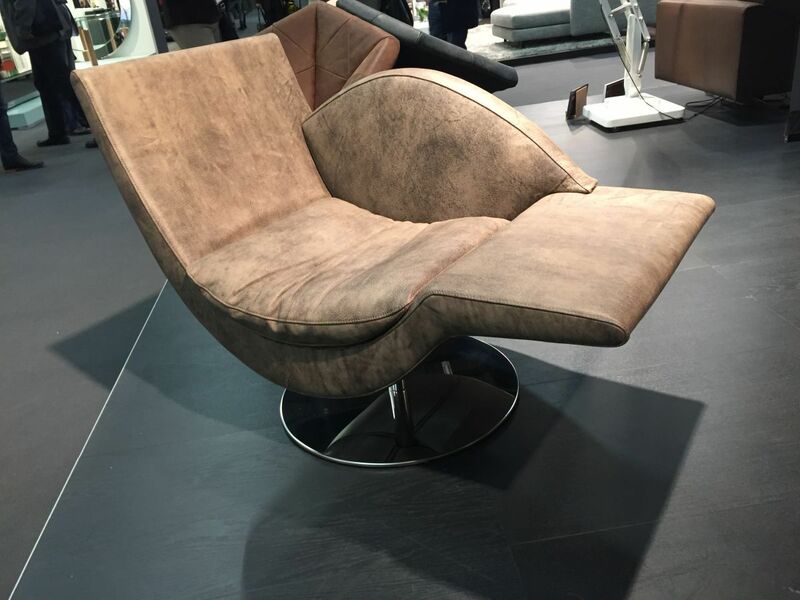 Many iterations of these types of chairs are available, from vintage overstuffed versions to modern chrome and leather designs. 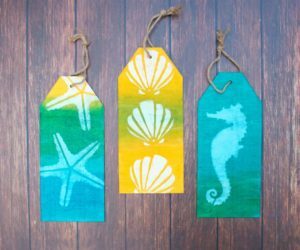 They are comfortable and perfect for living rooms, offices and dens. A more fluid design is this one from Azemad, which is done in the same materials but has a softer vibe. 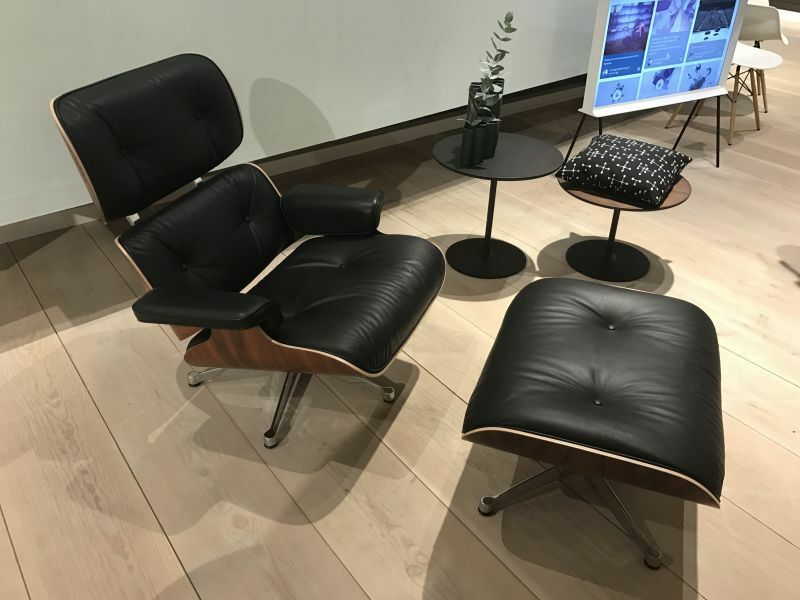 A classic piece that combines comfort, natural style and modern design, the Eames Lounge Chair has been in high demand since its debut in 1956 on the Arlene Francis Show, the predecessor to NBC’s Today Show. Its sensuous curves and leather cushions make up a lounge that is the epitome of comfort. 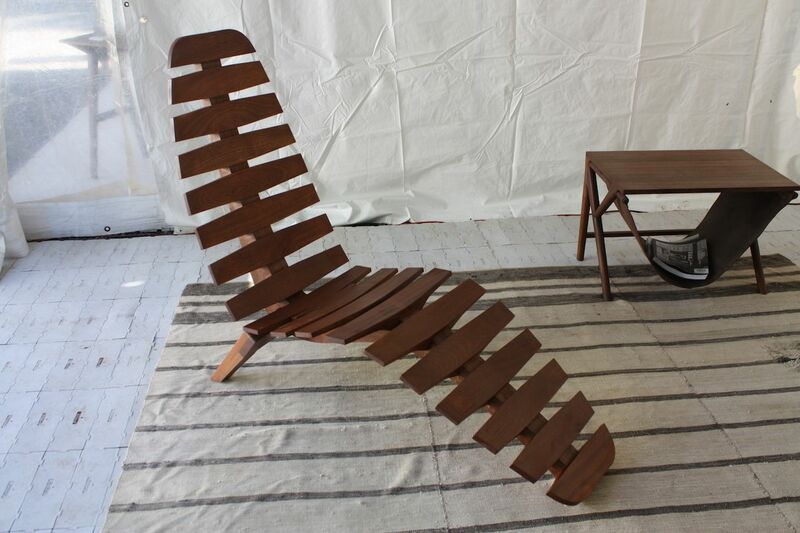 New-to-the-market molded plywood makes up the structure of this iconic chair. 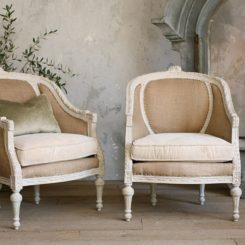 Copies and reproductions of this classic chair and ottoman are widely available. 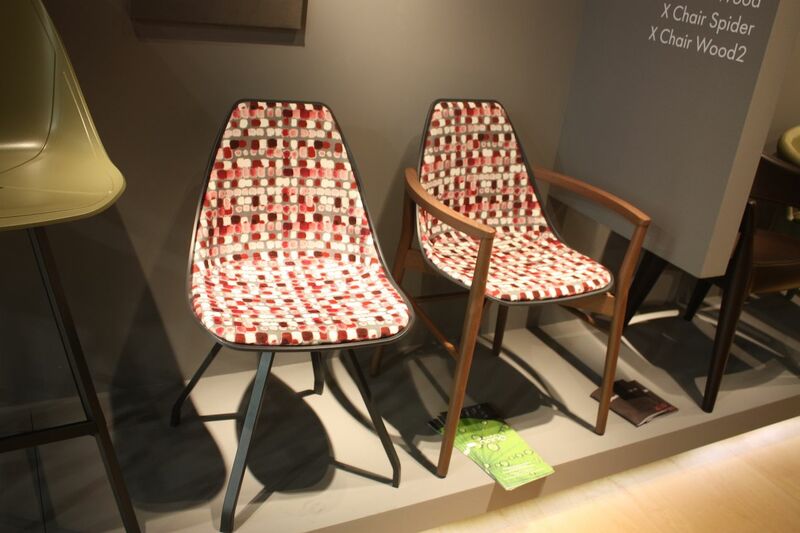 The label “easy chair” encompasses a huge number of styles and looks. Generally, most reference books agree that the definition is “A chair adapted for sitting or half reclining in in an easy posture, often furnished with arms and padded back.” Mention “easy chair” and most people will imagine something large, upholstered and well padded, perfect for curling up in to read or relax. These days, motion recliners are probably also included in this category. 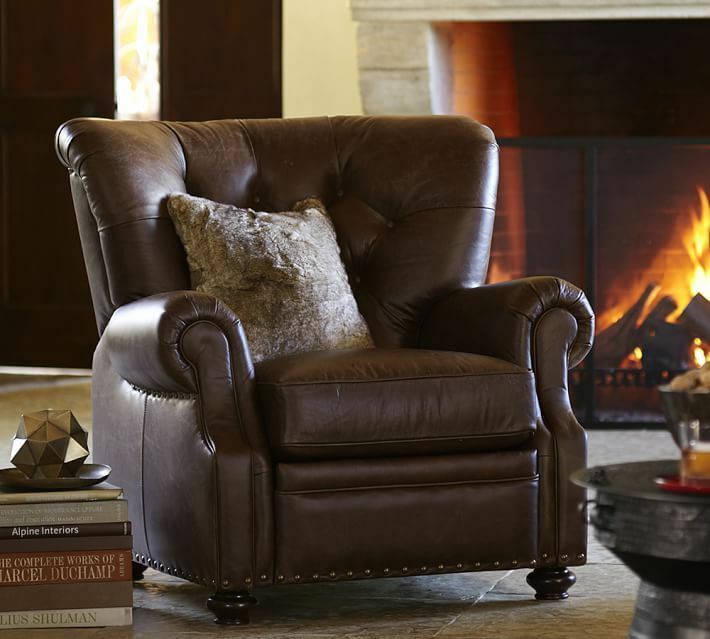 This leather easy chair has a classic, conservative shape and upholstery style. 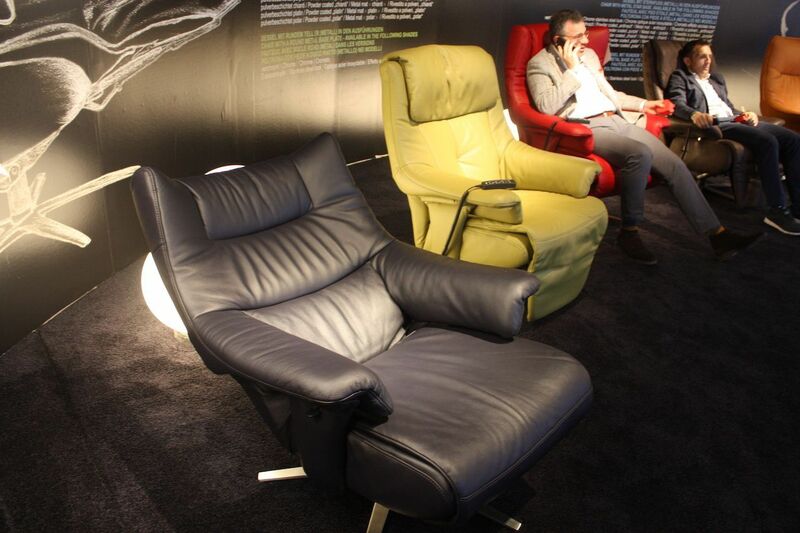 Recliners from Himola come in different styles and colors, but all are definitely easy chairs. Originally designed for women in the late 16th century, the Farthingale chair is a type of chair that is armless with a wide seat, cushioned and upholstered. The backrest might have been upholstered but the legs are generally straight and rectangular. Why designed for women? Hooped skirts were popular at the time and its armless design and wider seat were able to accommodate this fashion. 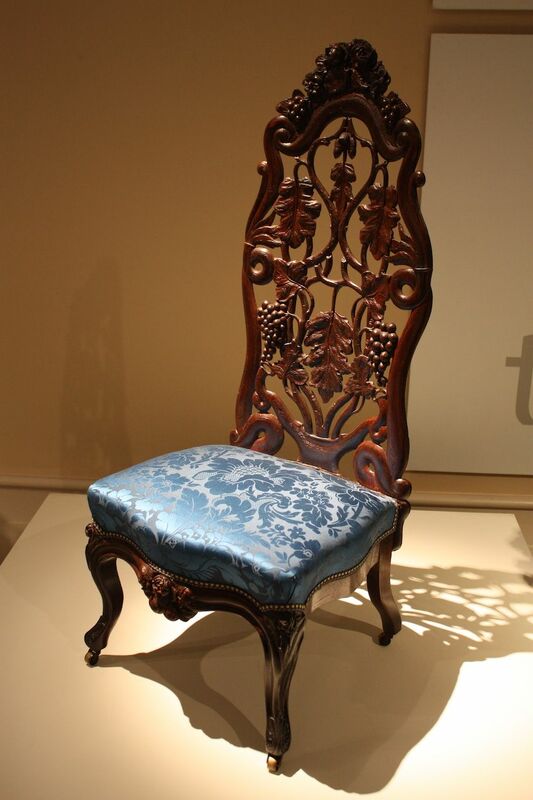 This chair does not have an upholstered back, but the seat could accommodate the era’s fashionable skirts. 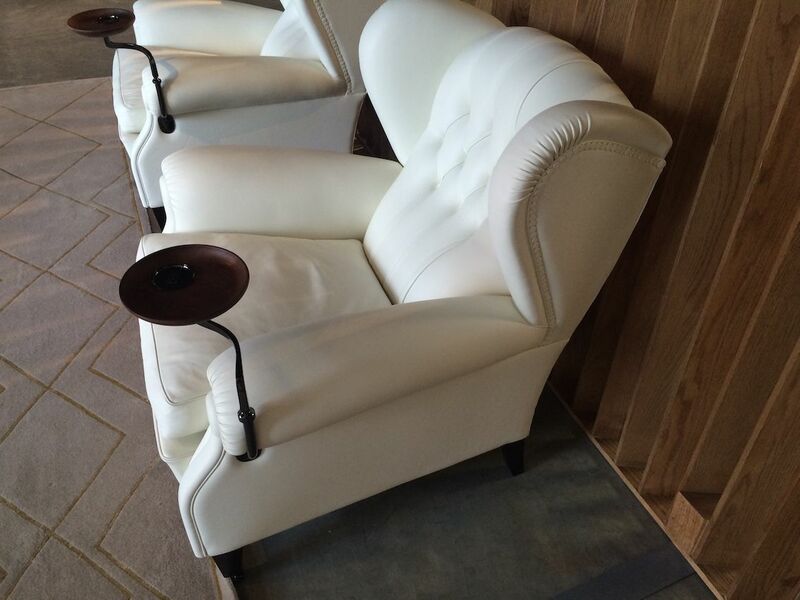 Some of these chairs feature marvelous decorative details like inlays. 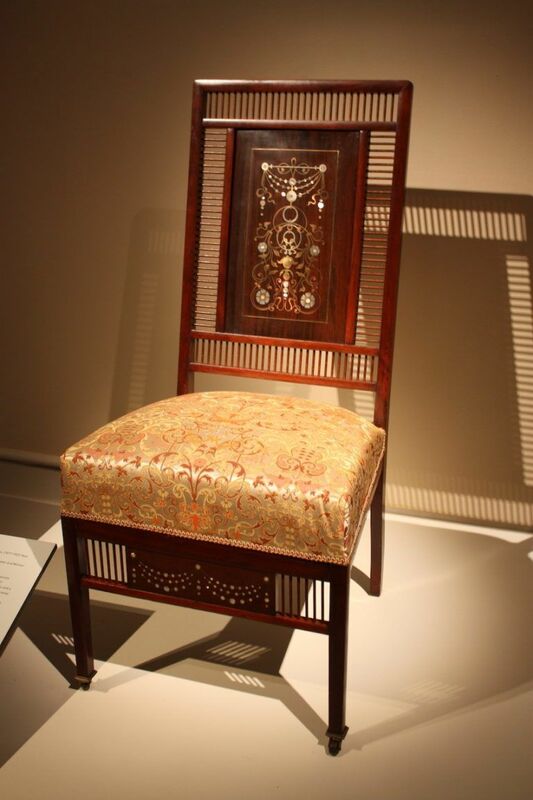 This all-wood chair comes from the Empire period, an early-nineteenth-century design movement generally between 1800 and 1815 during the Consulate and the First French Empire periods. 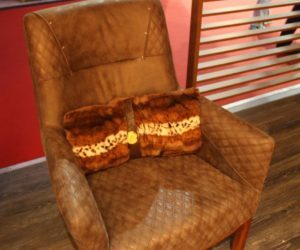 The chairs usually have an upholstered seat and the distinctive splat — the middle section of the seat back — that has carving resembling a fiddle. 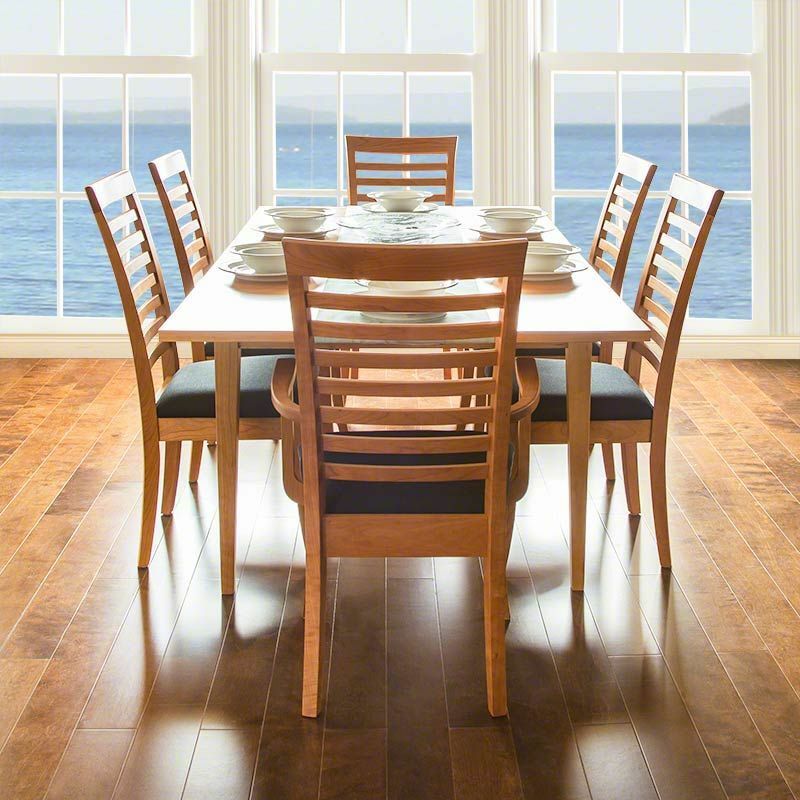 Fiddleback chairs have remained popular through the decades, with the distinctive splat being incorporated in a variety of other styles. 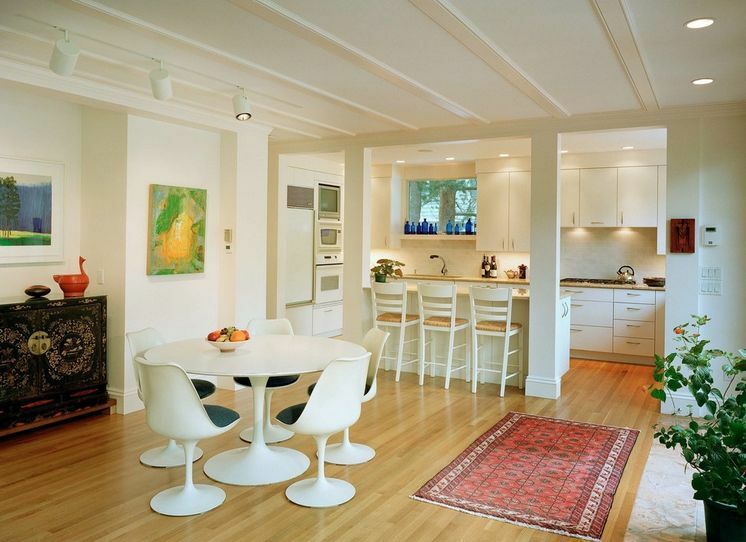 Casual and sturdy kitchen chairs can be of a fiddleback style. It came straight out of Hollywood: The director’s chair folds up side-to-side, making it easy to move around the set. 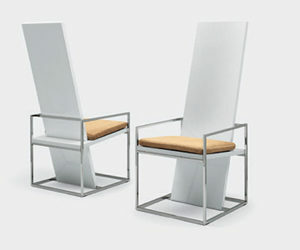 The frame is typically wood or metal and the seat and back are leather or fabric, which acts like a sling. 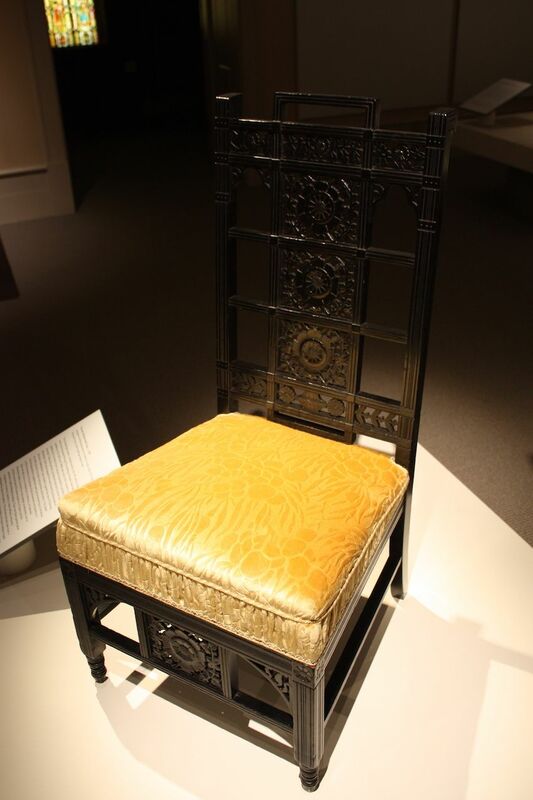 According to Showfire Displays, the design has roots in the 1400s when these types of chairs were used by coffer-makers. Some even link it to the Roman curule chair from thousands of years ago. Regardless, its convenience and now classic style have helped it maintain popularity. 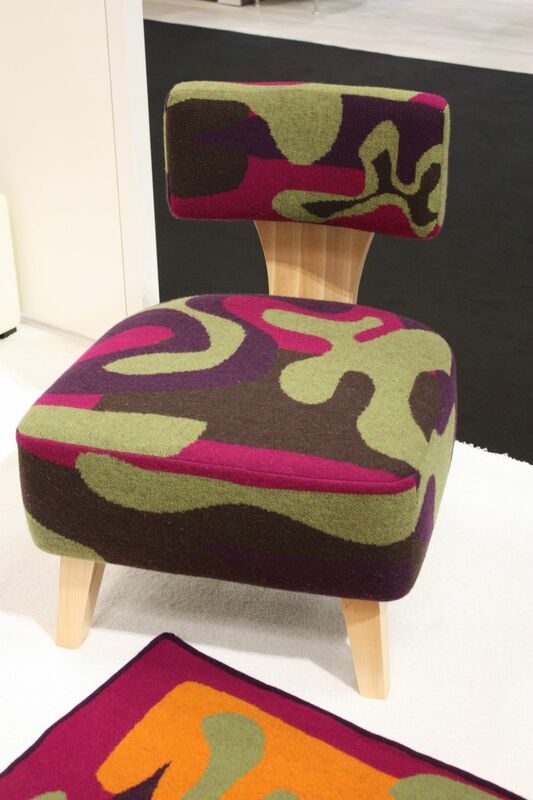 This is one chair that is extra simple to recover in a new fabric. 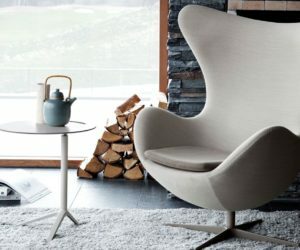 Designed by Danish architect Arne Jacobsen in 1958, the Egg Chairs is one of the most recognizable and popular pieces from the 1950’s. 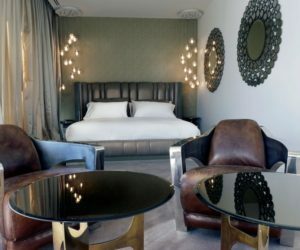 Jacobsen designed the fabric-upholstered, curvy chair for the Royal Hotel in Copenhagen, but ever since it was installed, it has been just as popular for homes as well as hotels and businesses. A rainbow of colors makes this a fun and sophisticated mid-century modern addition to any room. The versatile wooden ladder back chair has quite a long history that is still going strong. 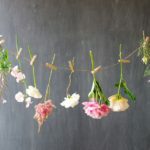 As popular now as it ever was, it is believed to have originated in the Middle Ages in Europe, according to LovetoKnow. 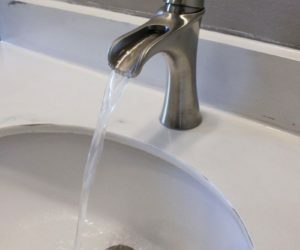 Later, its plain in style maid it valued by early Protestants who brought it to the United States, where it gained in popularity because it was quick and easy to make and served all purposes. Quakers used it in their meeting houses, and you could see them hung on the walls. The rise of the Victorian age and upholstered furniture pushed the ladder back chair into kitchens and less prominent spaces in the house. Some ladder back chairs have arms and some don’t. These types of chairs are also typically described by the number rails in the chair: a ‘five-back’ or a ‘three-back,’ for example. The width of grows in width with the height of the chair back. 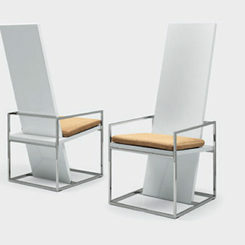 In the design world, it can take decades for a piece to become iconic: Not so for Philippe Starck’s Louis Ghost chair. 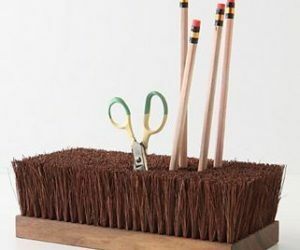 In little more than a decade, it has become a design staple, with more than 1.5 million of them sold. Originally designed for the Kong restaurant in Paris in 2002, Starck’s Louis Ghost chair is special in so many ways. Why a “ghost chair”? 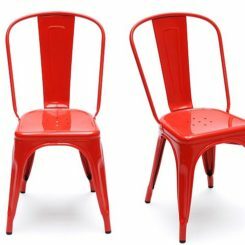 The innovative design manages to mimic the statelier pieces of the neoclassic Louis XVI period in the sleek, modern form of a plastic chair. As The New York Times reported, “It makes Louis XV modern; it stacks to save storage space; and it sells for $198.” Even though the paper got the price wrong, they nailed the reasons for the chair’s appeal. 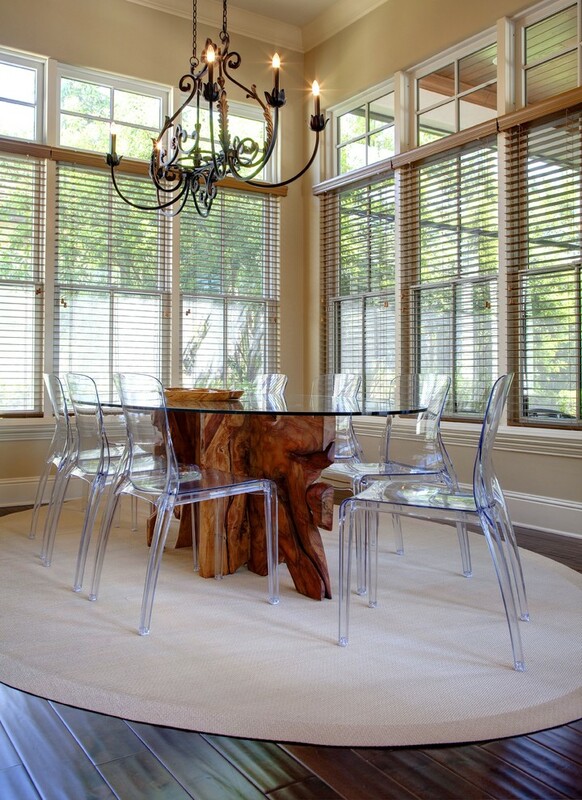 Starck’s Ghost Chair is a natural for an elegant dining room. 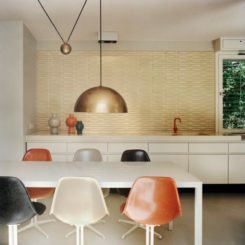 Equally fitting in a casual space, the Starck Ghost Chair allows other furnishings and the overall decor to be the focus. 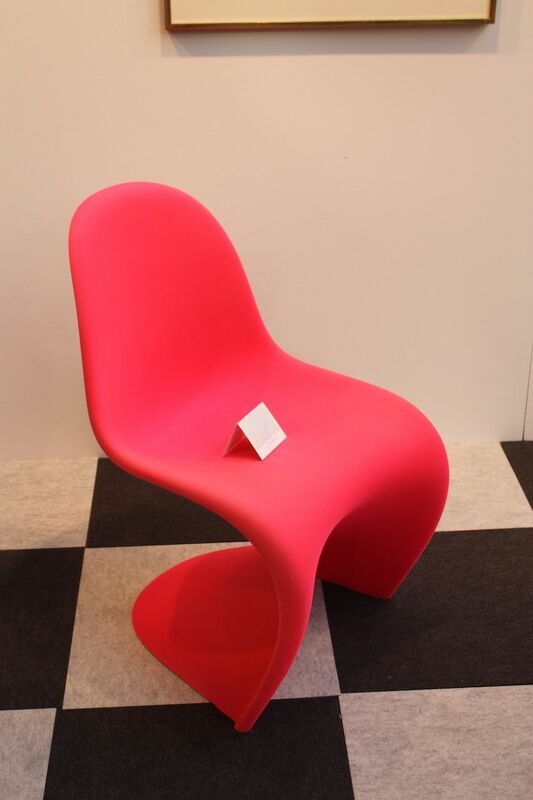 A one-piece plastic classic, the Panton chair was a groundbreaking design from 1960. Produced in collaboration with Vitra, it was the first chair to be manufactured completely out of molded plastic. Beginning in 1999, Vitra started producing it faithful to its original concept out of durable, dyed-through plastic with a lustrous matte finish. The rainbow of colors and comfortable, cantilevered design make it one of the more popular mid-century modern chairs being produced today. 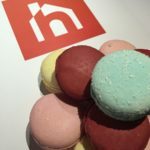 Bright colors are a hallmark of the mid-century modern design period. Soothing to babies, old folks and everyone in between, rocking chairs are a front-porch fixture that is mainly an American ideal. While they might be most popular in this country, they did not originate here. Unsubstantiated claims were made that Benjamin Franklin invented the rocking chair, but most sources agree that these types of chairs came about in the 18th century — probably in Europe — both in Europe when skates or rockers were added to chair legs. Rockers are typically a wooden chair, with or without arms, that is mounted on curved rockers. 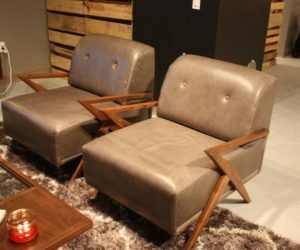 Today’s rocking chairs have taken on many different looks, from modern metal versions to upholstered easy chairs that rock. The newest types sit on a base that does not move, but the suspended chair does — easier on the pets and toes that can get pinched by the rocker! 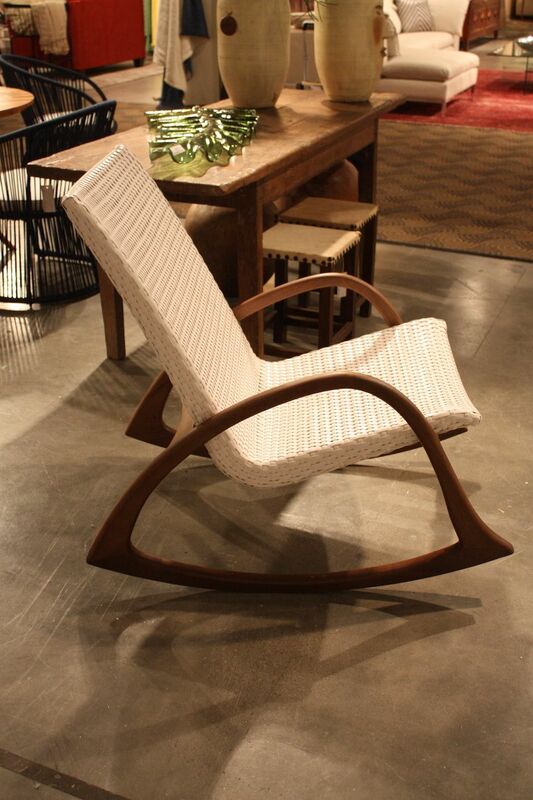 A traditional shaker style rocker is made of wood with a woven seat. 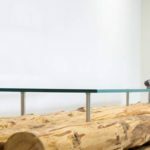 Modern wooden versions are more angled and have contemporary styling. 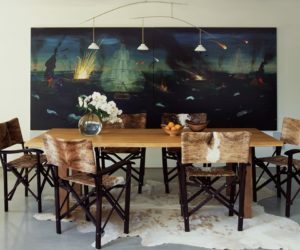 Truly modern designs have artful flair and only the basic purpose in common with their predecessors. Few designers produce pieces that will enjoy more than half a century of popularity — but Eero Saarinen did. His 1956 Tulip chair (and table) is a classic of industrial design and a sought-after iconic piece for homes and offices. 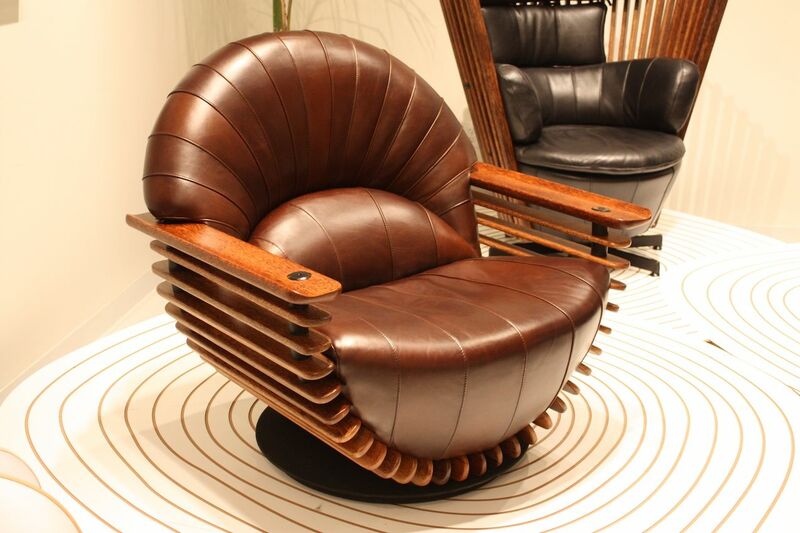 Today we call it retro, but when he designed it, the chair was futuristic. The one-legged Tulip chairs was Saarinen’s attempt to clean up our living spaces: “The undercarriage of chairs and tables in a typical interior makes an ugly, confusing, unrestful world. I wanted to clear up the slum of legs. I wanted to make the chair all one thing again,” he is quoted as saying, according to the Museum of Modern Art. A minimalist marvel, Saarinene’s Tulip chairs and table are still a fresh addition to a space. 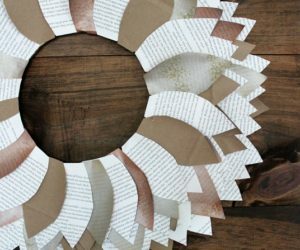 The clean-lined design fits well with many types of home decor. 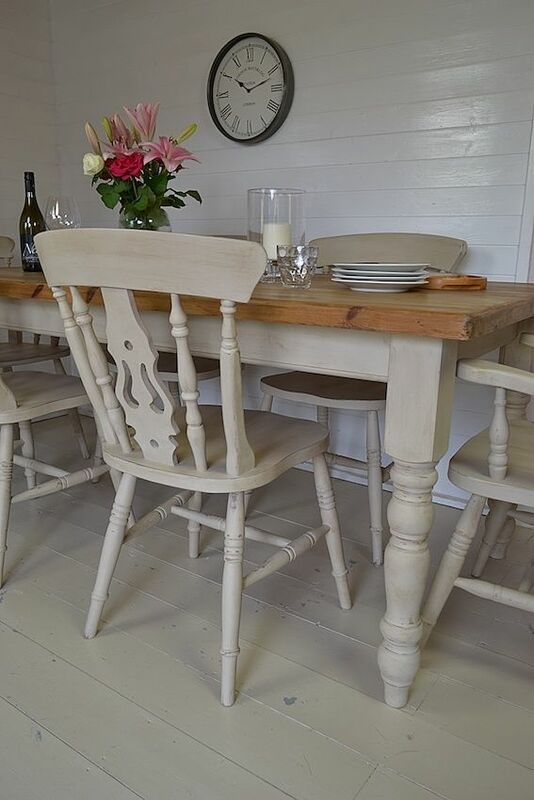 Many people consider this wooden piece a kitchen chair classic, perfect for the less formal space. 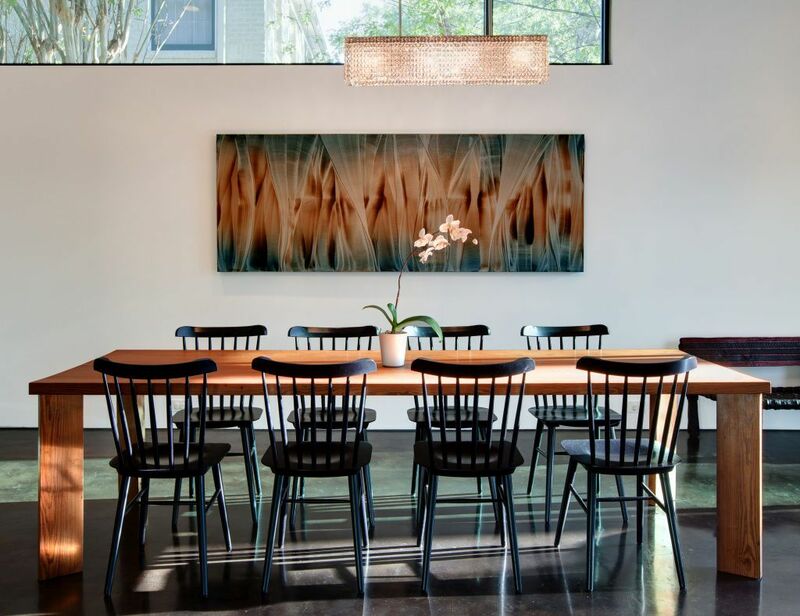 The silhouette of the Windsor Chair is usually made of vertical wood poles that form the seat back, sometimes rounded and other times squared off and topped by a shaped crested rail. 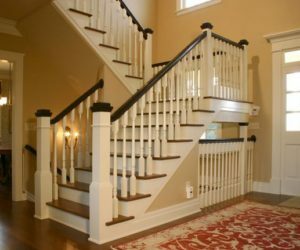 The legs slope outward and have cross bars for stability. The seats are not upholstered, but are often shaped for added comfort, and these days, many families choose to add chair pads. Regardless, it is the quintessential dining chair in many homes. The basic style of the chair can add color while not overwhelming a dining room. It also mixes well. 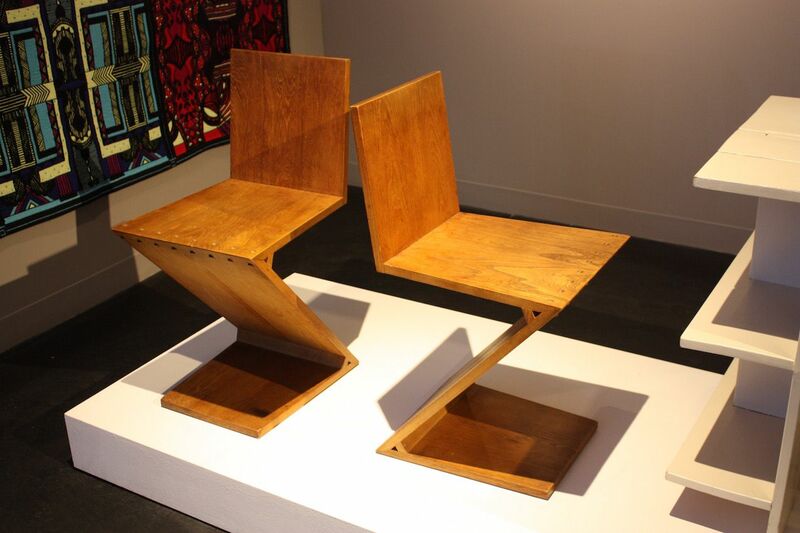 The Zig Zag chair was invented in the early 1930s by Dutch designer and architect Gerrit Rietveld, and according to the Financial Times, Rietveld said it was a designer joke. 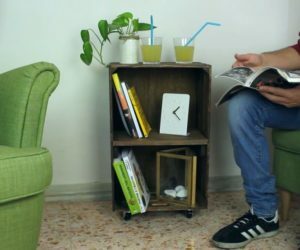 He was playing around to see if he could make a chair from four flat pieces and most versions — including metal and plywood — were failures. However his cherrywood version with the dovetail joints has become a design classic, as well as a comfortable and durable seat. 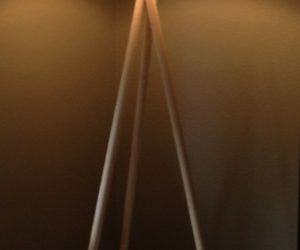 The Zig Zag chair looks like it defies gravity and is remarkably a sturdy seat. These are just a fraction of the types of chairs that are available for homes and offices of all styles. 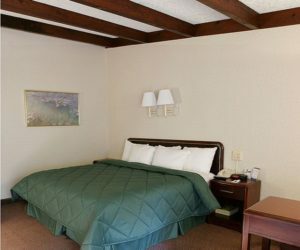 Whether your tastes run to modern or traditional, there is a wide variety of options for any room. Look at images and find the types of chairs that appeal to you before you go shopping. This will narrow down he search and keep it from becoming overwhelming.